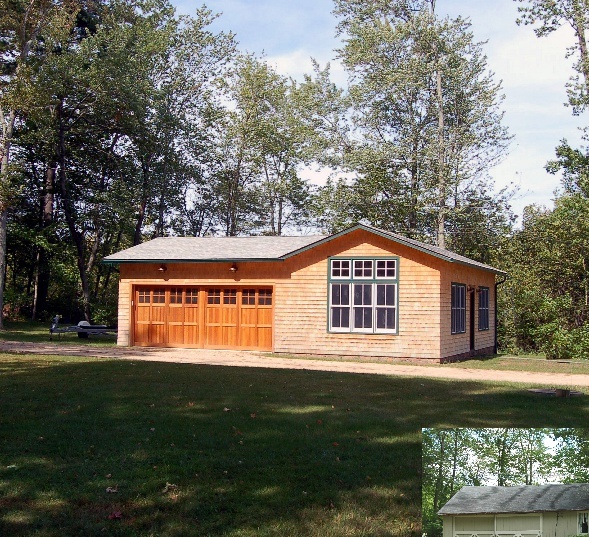 An existing building housing a garage and guest quarters was in dire need of repair. Zoning regulations did not allow for expansion in any direction, thus in replacing the ailing structure, the uncompromisingly low roof height was mitigated by opening up the ceiling of the billiards room to expose and celebrate the new roof structure. A bedroom, galley kitchen and full bath provide for comfortable guest accommodations, while an oversized garage door allows for overwinter storage of boats and kayaks.